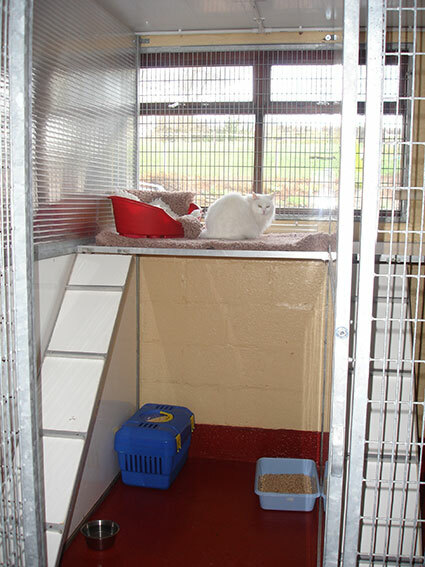 The cattery facilities are purpose built, with a double insulated roof for added warmth. 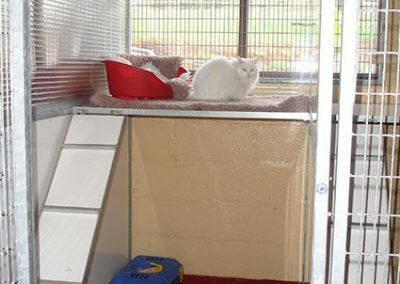 Each pen is spacious, enjoying raised sleeping quarters, with window views and individual radiators. Sneeze-barriers divide each pen. 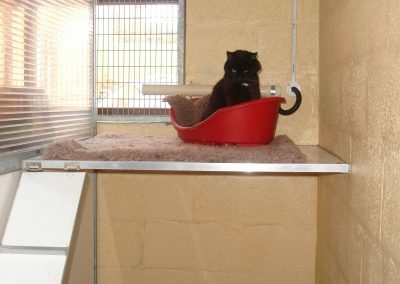 Plastic beds with vet bed fleece are provided for your cat’s comfort, however you may bring their own bedding if you wish, to encourage them to settle. Each pen is provided with a scratching post to keep them amused. All cats are fed to their owner’s specifications. We stock a variety of dry and tinned foods. If your cat is on a special diet, we will be happy to feed their requirements if supplied. We are happy to accept cats on any medication, e.g. Insulin. 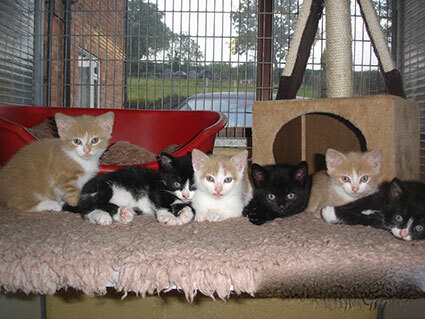 Please inform us of your cat’s requirements at the time of booking. Our staff are trained to administer medication. 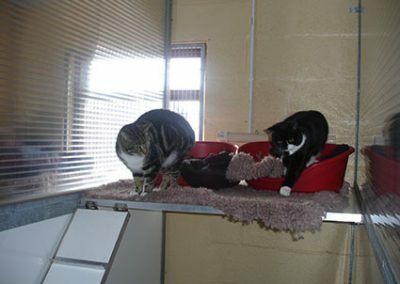 Vaccinations: All cats must have a certificate of vaccination against Feline Enteritis and upper respiratory infections (cat flu) and this certificate must be produced at the time of boarding. No cats suffering from, or suspected to be suffering from any infection or contagious disease can be accepted. 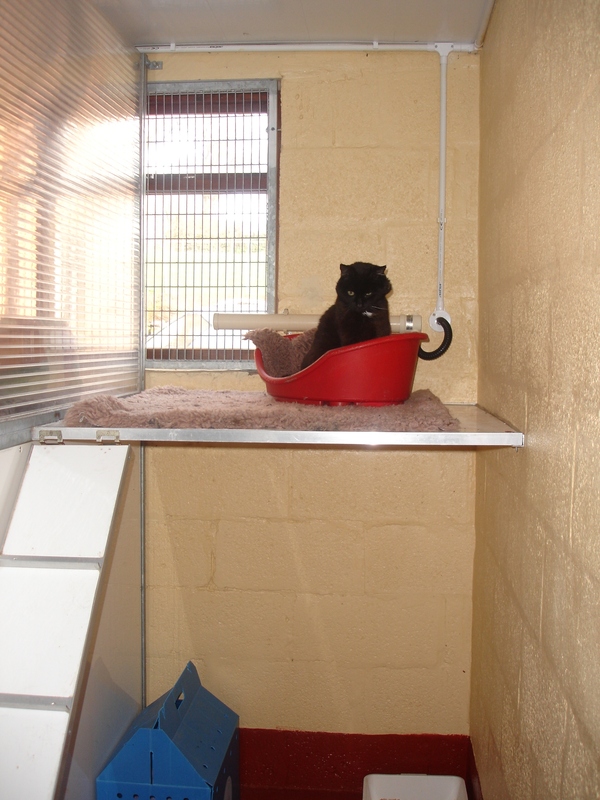 Our aim is to provide a friendly, caring, high standard of service for your cat, to ensure an enjoyable stay, thus giving you peace of mind.